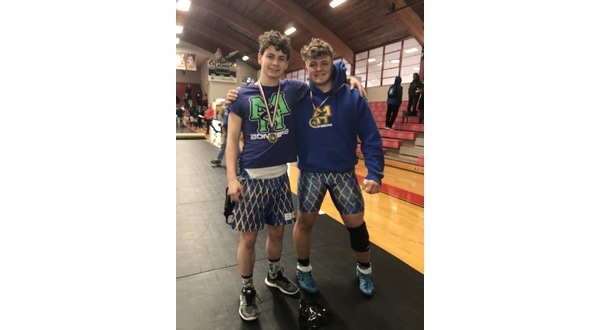 The Mountain Home High School wrestling team began its postseason run Saturday in Searcy with a pair of individual conference championships. In Saturday's conference tournament, Isaac Brunat won the 138-pound division by winning all four of his matches. Aiden Richey also went 4-0 on the day to win the 220-pound division. Also for the Bombers, Lance Lee ended up third in the 120-pound category after going 3-2 for the tournament. Brunat, Richey and Lee all came away with All-Conference honors.